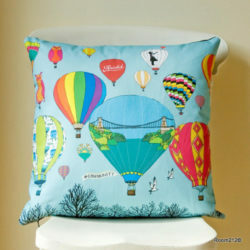 August is the time when we fill our windows with hot air balloon themed artworks, many of which are dotted around our shop year round. 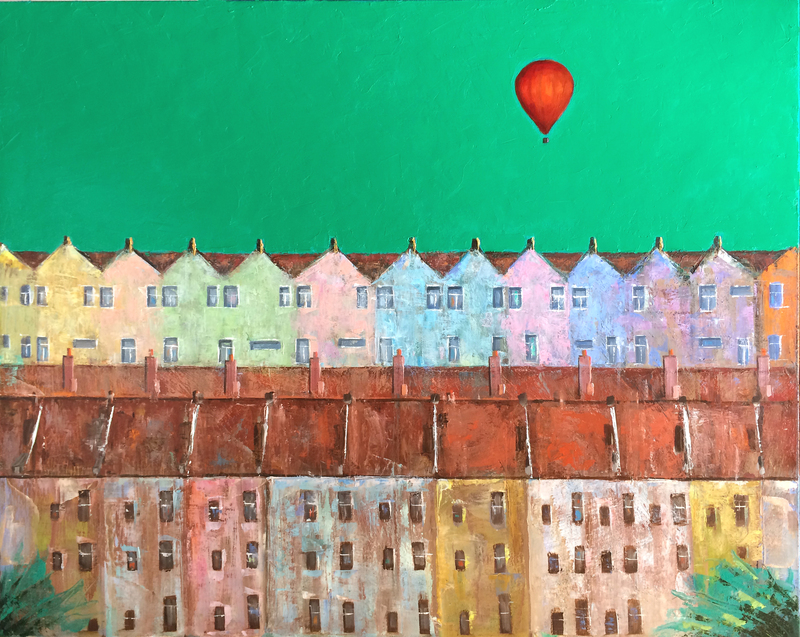 Bristol is synonymous with hot air balloons, especially during the Bristol Balloon Fiesta which takes places 9th – 12th August this year, and many of our artists are inspired by the sight of balloons floating over our city skyline. 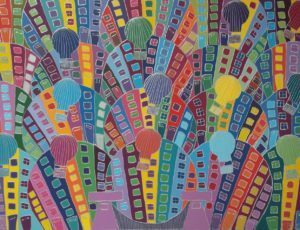 Leanne Winter loves to paints bright, cheerful canvases full of balloons and she has given us 3 new pieces of different sizes. 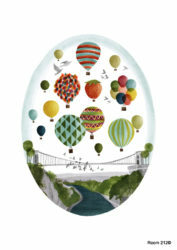 Jenny Urquhart has brought in a large original painting of balloons floating over the Clifton Suspension Bridge. 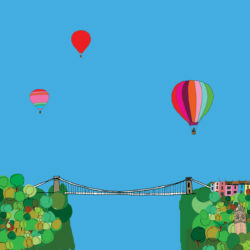 Her classic Bristol prints always have balloons somewhere in the image. 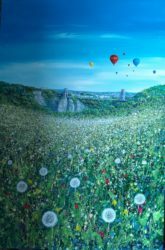 The new painting brings a sense of realism and nature. 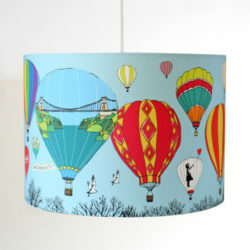 The balloon design created by Made By Ilze for her lampshades and cushions is one of the most popular in our shop. 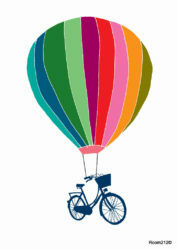 The shades are looking great hanging up in the balloon themed window. 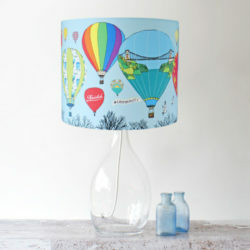 They can be made up for pendant or stand lamps. 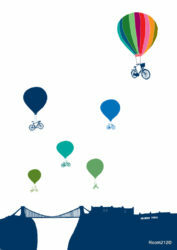 Just tell us which size you’d like. 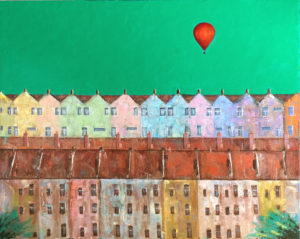 We have a host of Hannah’s at Room 212, and they all feature balloons in their work! 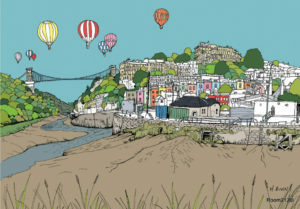 Prints available in store and online.